Save £10 on 30 Top Products at the House of Fraser Beauty Event! The House of Fraser Beauty event is back again, and this year it’s been revamped just for you! 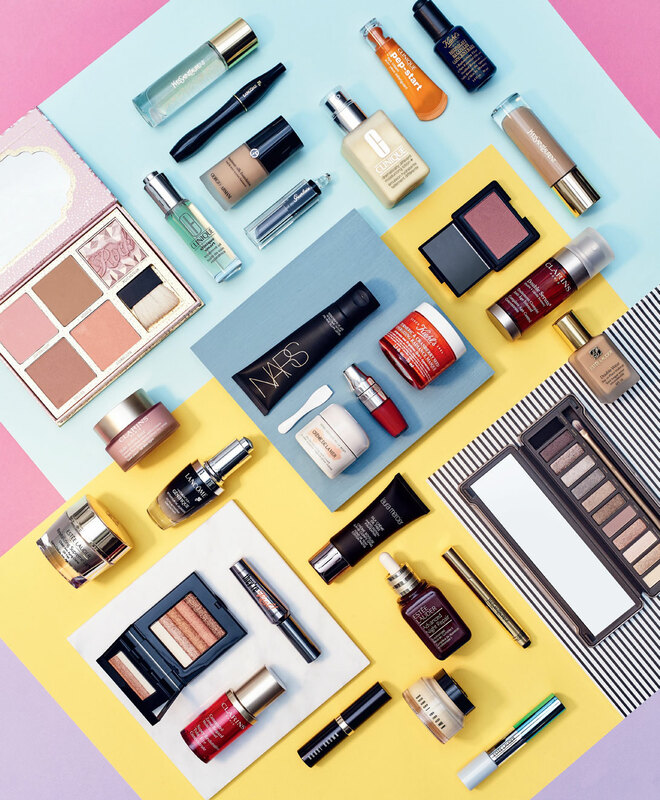 All you have to do is spend £50 or more on beauty, including one of House of Fraser’s ‘favourites’ in your purchase to receive £10 off your order. This will run inclusively from Monday 21st March to Sunday 3rd April. To celebrate the launch of Fraser Beauty, House of Fraser stores across the nation will also be hosting a variety of exciting and events. Customers will have the opportunity to discover more about the products in the offer and receive advice from experts, all whilst enjoying a lovely glass of bubbly. 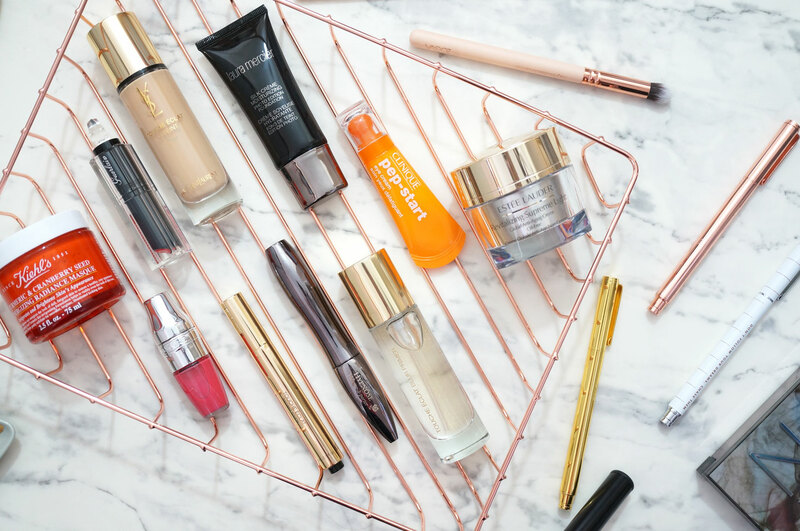 You can check out the list of House of Fraser’s beauty favourites below – plus you’ll also receive Double Recognition Points on your order too! YSL Touche Eclat Le Teint in BD10 – You can probably guess this by the name, but YSL have taken the technology used in their cult Touche Eclat highlighter, and incorporated it into their latest foundation. The lightweight fluid of Touche Eclat Le Teint aims to illuminate the complexion with its magic light infused formula, whilst erasing imperfections, leaving skin looking natural, radiant and perfected. YSL Touche Eclat Radiant Touch in Shade 1 Rose lumiere – Would you believe it if I said touché Eclat has been around for 20 years now? Twenty years!! Most of you will know what Touche Eclat is, so I’ll only touch on this one briefly (See what I did there?) This is the gold clicky pen of dreams, is brightens, highlights, and adds luminosity to your complexion – definitely a must have! NARS Velvet Matte Skin Tint Foundation in shade Groenland – This is a rather fabulous sounding oil-free matte foundation which offers SPF30 protection with a soft velvet-matte finish. The formula contains NARS’ innovative Velvet Illusion Complex to instantly transform the look of skin, creating an immediate soft-focus effect that helps to blur imperfections and minimise the look of pores. Clinique Pep Start Eye Cream 15ml – This sounds exactly what I could do with right now, a cream to ‘pep up’ my ever puffy and dark-circled eye area. You just use twice a day to hydrate, brighten, and generally perk up your under-eyes, leaving you feeling refreshed, and looking wide awake. Estee Lauder Revitalising Supreme Global Anti-Aging Cream – This is a high-performance and multi-action creme to help significantly reduce the appearance of the signs of ageing, including lines, wrinkles, loss of firmness, dullness and dehydration. This products aims to instantly give skin a smoother, clearer, more radiant appearance. Kiehl’s Turmeric and Cranberry Seed Energizing Masque – This is an invigorating, energising and exfoliating mask, perfect for targeting a dull and fatigued complexion, giving skin a natural and healthy appearance – I really think I’m going to love this! It’s formulated with cranberry & turmeric to even the skin tone, while crushed cranberry seeds gently exfoliate for smoother, brighter, illuminated-looking skin. I’d love to hear if you’ve tried any of these products? Or if you’re hoping to pick any up in the Beauty Event? AMAZING HAUL! | Liberty Gift With Purchase!